It’s Alaska Day today. Or at least we’re celebrating Alaska Day today– the real date was yesterday but that would have messed up everyone’s long weekend so we’re all pretending that it’s really today. 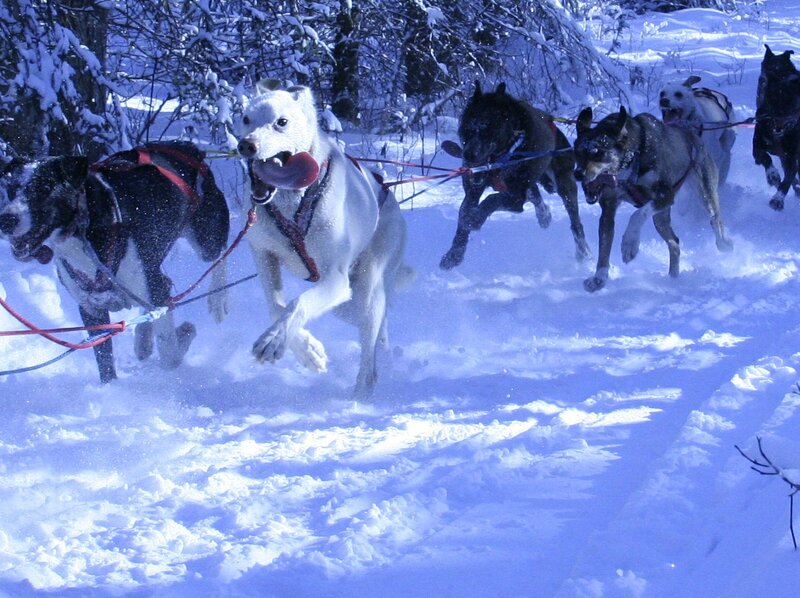 In celebration of this momentous occasion, I’ve decided to share the story of how I came to live in Alaska. I never intended for this to happen. 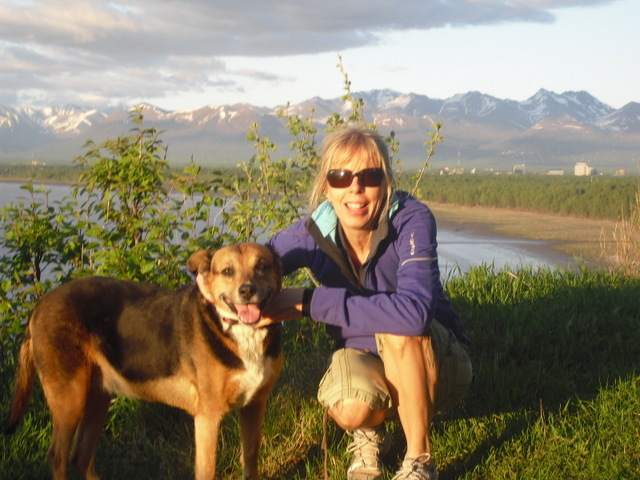 I never said, “I want to live in Alaska when I grow up.” Yet, here I am, a 28-year resident. Like many women’s stories, mine began with a man. And this man’s dream was to visit Alaska. We had moved from Michigan to Flagstaff, Arizona, and that was as far as my dream went. I was happy in the high desert and the red sandstone and the sweeping vistas and the smell of pines and so much open space. Yet I somehow followed this man to Alaska. That first summer we lived in an apartment off Muldoon Road and I waitressed at the Village Inn on Northern Lights Blvd., and we hiked in the mud and the rain, we fished in the mud and the rain, we camped in the mud and the rain (it was an especially rainy summer that year), and by the time September rolled around, I had had enough and headed back down to Arizona. The next summer, I returned to Alaska. Maybe I missed the man or maybe I missed the person I was when I was with the man or maybe, even then, Alaska had started to get to me, like a slow tease, like a seduction that builds over time. I didn’t learn to use commas, at least not then, for I left Arizona after less than a year. While I loved the desert and the heat, loved walking in the dried river washes, loved the smell of chaparral after the rain and the way the sky looked when I hiked up in the mountains, I guess I didn’t love it enough to make it work. I packed up a box of books, my cat and my bicycle, left everything else behind (including my beloved red VW Rabbit) and flew back to Alaska. And this time, I stayed. For good. I found another waitressing job and another man, had my son, left that man and that job, worked my way through graduate school, became a journalist, wrote a book, got my son through college, and suddenly I looked around and realized that while I had worked and left many jobs, had met and left many men, I never left Alaska again, or at least not for long. At least not for good. White water rafting in Denali National Park with my sister and son. Gold panning with my son and Isabel (the dog) up by Hatcher Pass. Aren’t my over-sized glasses wild? 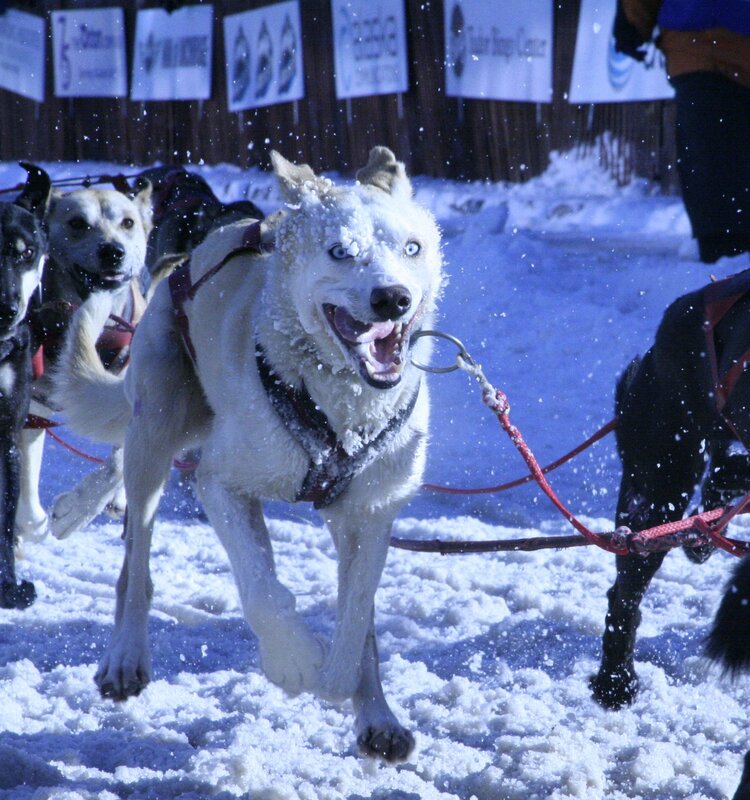 Fur Rondy sled dog races. Full moon outside of Kenai Lake. Seward Small Boat Harbor, in mid-winter. 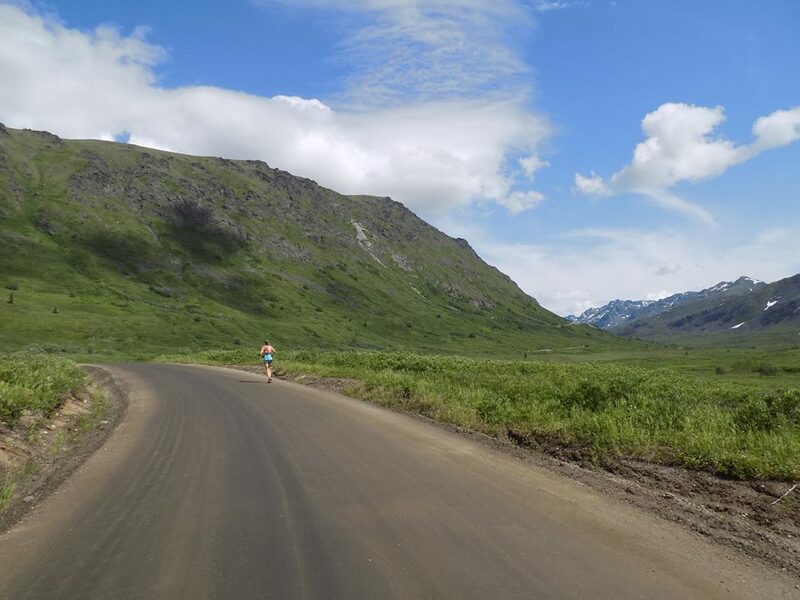 Running down the bottom portion of the Mount Marathon Race (and no, the woman behind me didn’t pass me, hee, hee). 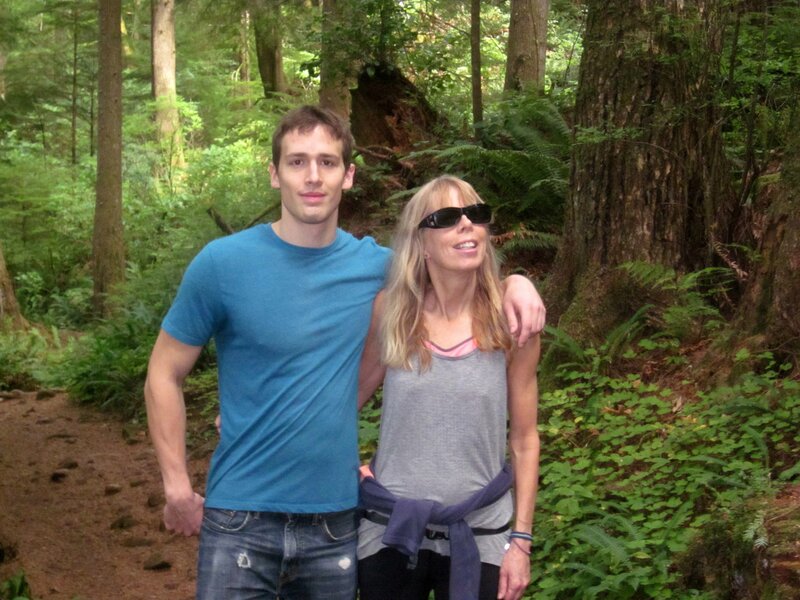 Hiking with my son in Seaside, OR, last month. Thanks, Kev! Life can sure take you places, eh? And I still tend to be sloppy when it comes to commas, lol. Happy writing. Thanks, Luanne! In a perfect world, I’d live in both places and never have crappy weather. Ever, lol. Hugs to you and Molly. Happy Alaska Day, and I’m so glad you stayed here! Thanks, Lynn! And me, too. Cheers and happy writing. Breath-taking photos, Cinithia. Wow. I totally understand why you can’t leave. I watch ALL of the Alaska shows on television (which makes me an expert on Alaska, clearly) and I DREAM DREAM DREAM of a time when I can visit that amazing place. I know that probably makes your skin crawl. I’m sure you’ve seen lots of folks from the “lower 48” stomp all over your beautiful wilderness wanting to live out their favorite Alaska show. OKAY! I’M ONE OF THEM! Have cousins there, so maybe someday . . . Oh! And there’s this writer girl I know that lives there . . .
How is tourism up there? Been impacted by the shows? Julie! Come on up for a visit. We have a guest room and trust me, we have visitors quite frequently during the summers, lol. Alaskans don’t really mind tourist. They mostly stick to the well-known areas and rarely venture out in the backcountry so we don’t really worry about them stomping over our wilderness. 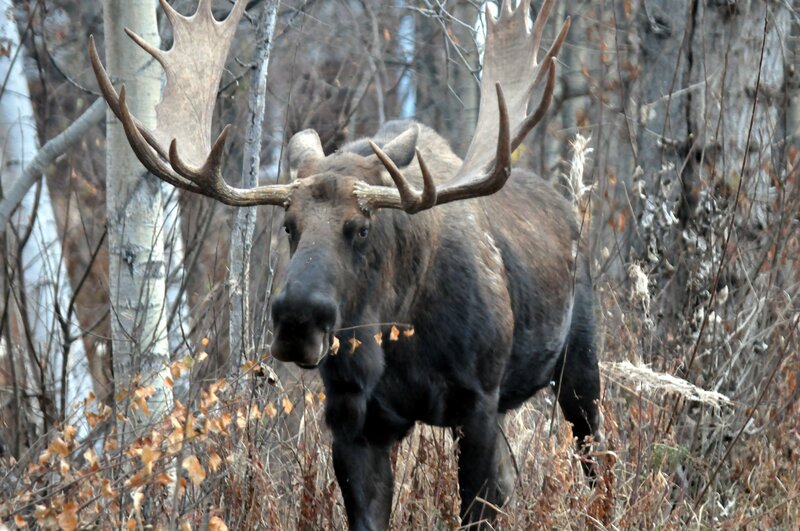 Most of them just want to see a moose. (I heard one ask a cashier if she could use American money, lol.) Cheers and big writerly hugs. I always enjoy hearing stories of how people end up living where they are. (Except when you get the ol’ “oh, I just lived here all my life” story. Those aren’t so terribly exciting…) 🙂 Beautiful pictures! I’ve been wanting to visit Alaska for years now! When the hubs isn’t working so much we are definitely going to go! Small world, no? And yes, yes, yes, you should definitely visit Alaska. 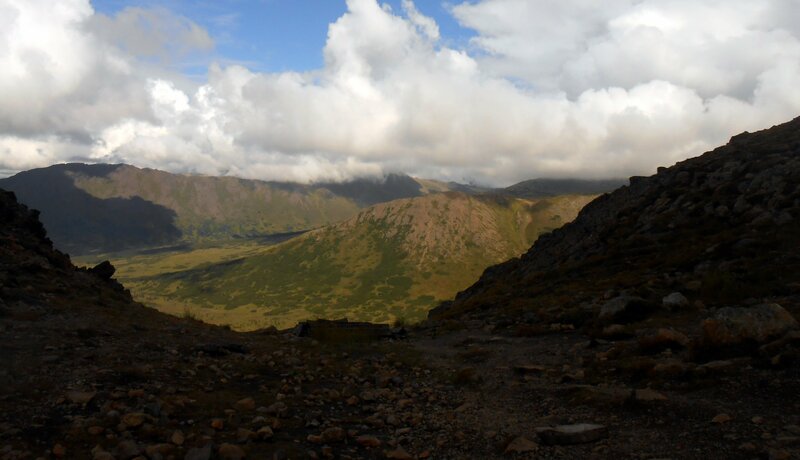 It is too beautiful, especially in the summer (I should host a writer/blogger retreat in our house and we could all hike and roam around Alaska for a week and not write a word). Thanks so much. Alaska is the best. At least in the summer. At least when it isn’t raining. At least when I’m not being charged by a bear or moose, lol. Cheers and happy writing. P.S. I read “Early Bird Special” last year and loved it. Can’t remember if I ever wrote a review. Must do that soon. What a great story and photos 🙂 Would really LOVE to go to Alaska one day. Thanks, Cassandra. Let’s trade lives, okay? In the winter. You can deal with the snow and I’ll lounge around in a tropical paradise, lol. Cheers, nice to connect again and happy writing. Wow, what a great story. You were obviously meant to be there. Thanks so much, Sandi. And yeah, commas can be a big pain in the behind. P.S. How are your books coming along? Cheers and happy writing.